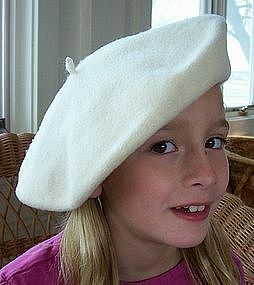 Very finely knit from 100% wool, this cream-colored classic french style beret was made by Preston & York in South Africa. When flat, beret measures 11" in diameter with a 6" center hole. Also has the classic beanie nub on top. In very good condition and ready to wear. Weight is 8 oz. Use USPS link on my homepage to calculate postage from zip code 43570 to your zip code. first class postage is included in price. 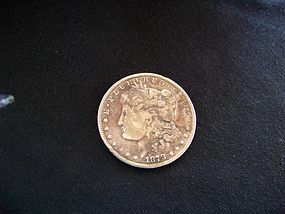 This is a 1878 Morgan dollar. 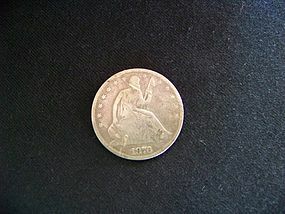 Was minted in Carson City. In fine to extra fine condition. 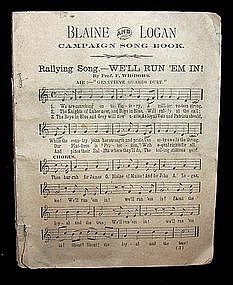 Song book for the Republican candidate for President in 1884, James Gillespie Blaine, and his running mate, John Alexander Logan. Fifty-page book measures 4 1/2" x 5 1/2" and is missing it's cover but still worth collecting. The last two pages contain a short biography of Blaine and Logan. 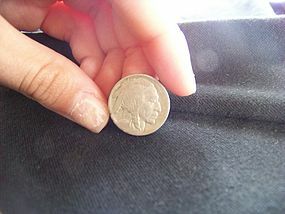 This is a 1913 buffalo nickel variety one raised ground. Was minted in Philadelphia. Good to very good condition. First class postage included in price. 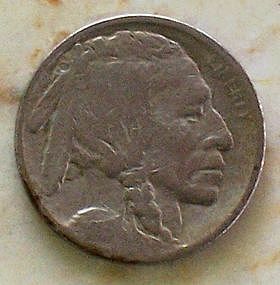 This 1913 variety 1 raised ground Buffalo nickel was minted in Philadelphia and is in very good condition. 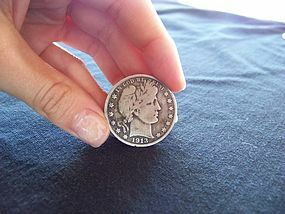 This is a 1913 Barber half dollar. Was minted in San Francisco. In very good to fine condition. Star Book No. 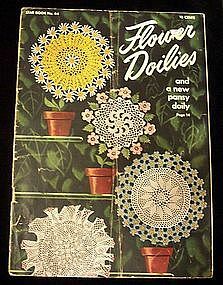 64 - 1949 by American Thread Company entitled 'FLOWER DOILIES'. Fifteen-page, 10 1/2" x 7 1/2" paperback booklet full of instructions and photos of nine different crocheted flower doilies, including: Rose Hot Plate Mat Cover -- Daisy Doily -- Forget-Me-Not Doily -- Passion Flower Luncheon Set -- Wild Rose Luncheon Set -- Irish Rose Doily -- Pond Lily Doily -- African Violet Ruffle Doily -- and the New Pansy Doily. 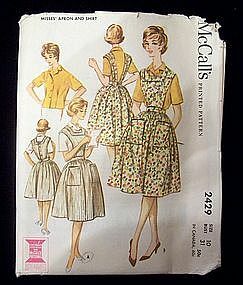 McCall's printed pattern # 2429, size 10, bust 31, copyright 1960. Blouse has short sleeves and front-button closing. Apron has front and back bib, gathered waist and front patch pockets. 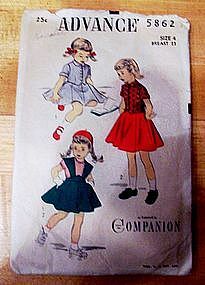 ALSO included in envelope is a pattern for a youth pinafore cap. It looks like a nurse cap and was probably made for a hospital volunteer. >Used pattern in good condition. Media mail postage is included in price. If other type of shipping is desired, please email with preference and zip code. 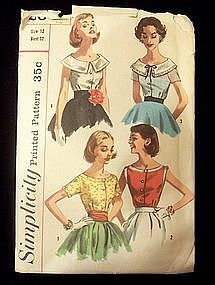 Simplicity printed pattern # 6572, Teen size 12, bust 32. 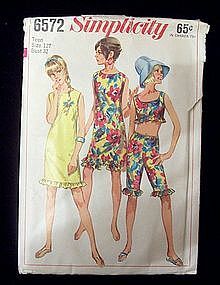 Back of envelope reads: "Teens' and Juniors' top, pants and dress. 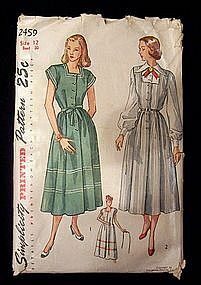 Sleeveless dress and top with ruffle trim have lowered round neckline. Above knee-length dress has back zipper. Lined top has button back closing. 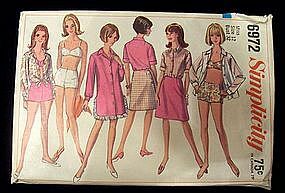 Ruffle trimmed knee-length pants made to be worn below waistline have waistline casing with drawstring." >Used pattern in good condition. Envelope is a little tattered and has a tear down side. Each bottle holds 4 oz. 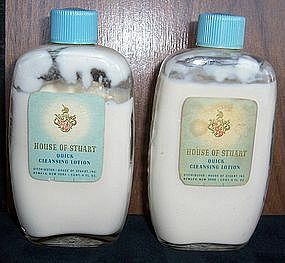 of Quick Cleansing Lotion distributed by House of Stuart, Inc., Newark, New York. Clear glass bottle has embossed leafy pattern on sides and blue plastic cap. Label on fuller bottle is discolored. "Modern Times is a devastating satire on modern industrial life. 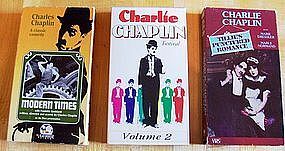 This is the first Chaplin film with sound effects and his voice singing a tune, and is the last appearance of his "Little Tramp" screen character." Three records in individual sleeves inside a pictured cover folder-box made by RCA for Reader's Digest in 1965. 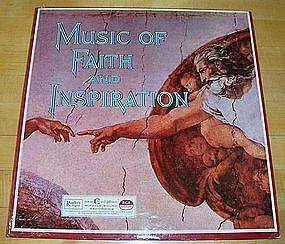 Side 1: Somebody Bigger that You and I, Kol Nidre, I Need Thee Every Hour, Battle Hymn of the Republic, Nobody Knows the Trouble I've Seen, You'll Never Walk Alone. 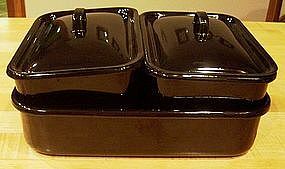 Five-piece black enamel storage set has two covered rectangular dishes each measuring 7"L x 5"W x 4 1/4"H including lid. One has chipped corner. Both show wear on bottoms and have small chips around top rim where lid rests. Larger rectangular open pan measures 10"L x 8"W x 2 1/2"H and has 2 or 3 small chips around top rim and very little wear on bottom. Overall, a nice set. Suspender Skirt with Overblouse. This is an unprinted pattern as featured in Companion. Pattern was used and is yellowed due to age. The instruction sheet has a tear and the envelope is a little tattered on the top with two small tears on one side.